Belize has always been the destination for divers, and the deep waters off the coast of Roatan's West Bay are excellent for freediving. In freediving experienced divers explore the ocean depths without breathing equipment. It's inconceivable to me how much lung capacity it takes. Here's a video of World Record free diver William Trubridge diving 400 feet down on a single breath! Entry fee is $1,000 for the first 20 competitors, and $1,200 for those who confirm after the first 20 registrants. Participants also have the option of paying 50% before April 1st, with the remaining 50% at the time of official registration on May 24, 2014. Registration includes: Hosting at Infinity Bay Resort or Mayan Princes Resort during the event, Participation in the 3 disciplines of competition (CWT, CNF, FIM), Right to use the training lines in the weeks prior to competition, Participation in two draws (excluding the second if you win the first) for a trip in the submarine Idabel Entrance to the closing ceremony party. 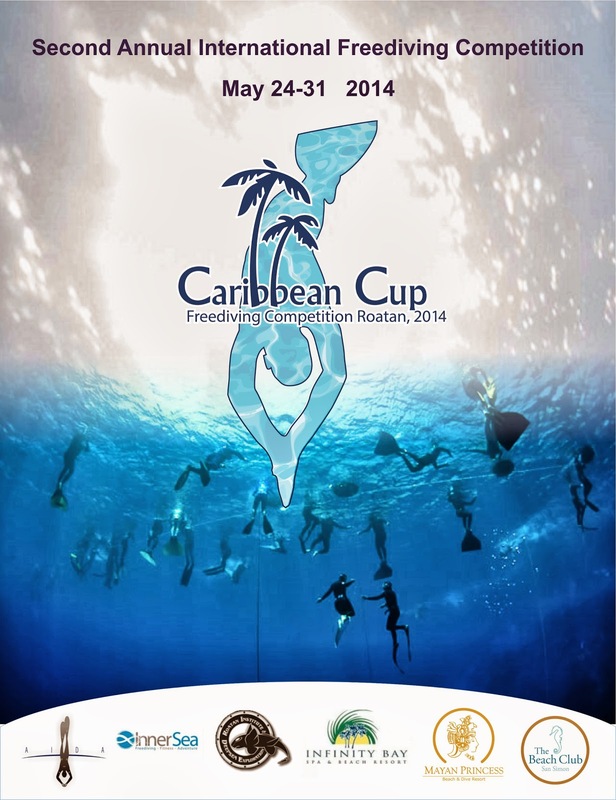 For more information, check out the competition’s Facebook page or keep up with the latest news on the freediving cup following #CaribCup2014 hashtag on Twitter.